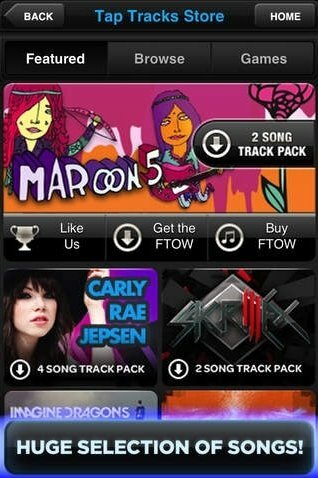 If you like music and you have rhythm running through your veins, Tap Tap Revenge is the application you need. It's a game for iPhone in which we will tap the screen following the instructions given, and keeping the rhythm of the song being played. Something rather similar to Guitar Hero. To start playing you only need to choose a song. You can choose between Lady Gaga, Ke$ha, Taio Cruz, or many other singers. 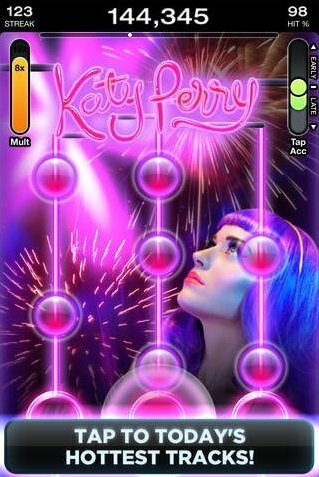 Then choose the difficulty level and, if you want, you can first play the tutorial of Tap Tap Revenge. 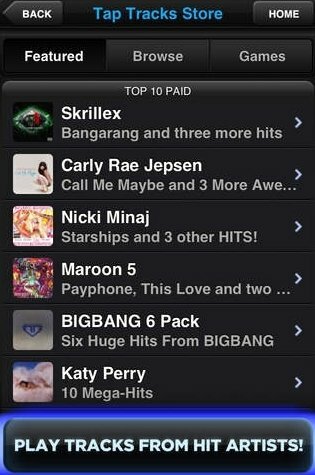 You can Like a song and challenge other users to compete. You can see the scores at the Game Center. 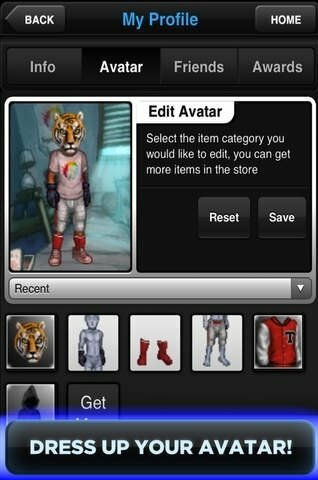 Allows you to play in Arcade mode. 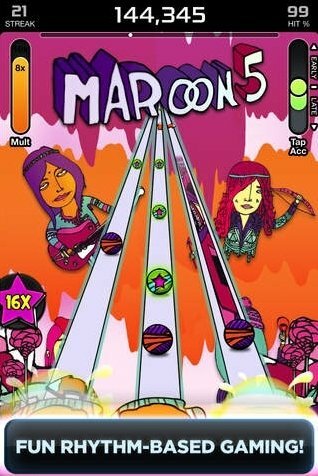 Fine-tune your precision and obtain the highest score with Tap Tap Revenge.